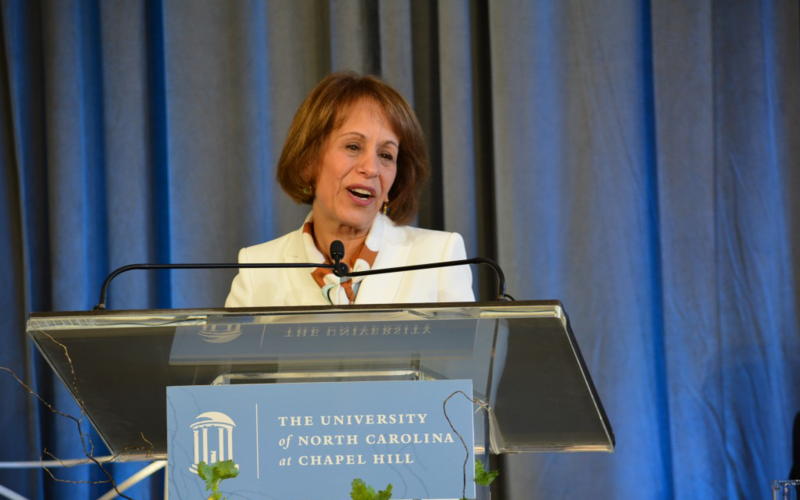 This week’s Hometown Hero, presented by Hendrick Subaru Southpoint, is former UNC – Chapel Hill Chancellor Carol Folt. “Stepping down as the chancellor of this great university and wonderful community feels much like parting from a gathering of family, friends and neighbors,” Folt wrote in a farewell letter to the university on her final day. One of Folt’s final acts as chancellor was to authorize the removal of the remainder of Silent Sam’s monument from campus. The statue itself was torn down by protesters in August 2018, but the monument and base had remained at McCorkle Place. In an interview with WCHL earlier this year, Folt said the fact that the monument was no longer intact allowed her to take this action.